With focused coverage of the veterinary technician's specific role and responsibilities in small animal surgery,Small Animal Surgical Nursing, 3rd Edition helps you gain exceptional clinical competency. Topics include protocol, sterilization, gowning, gloving, anesthesia, wound management, and care of the animals before and after surgery. This new edition will also expand on common complications that might be encountered during surgical procedures and outlines how to best avoid or prepare for this situation. 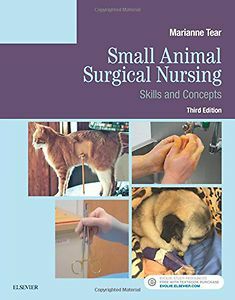 Plus, with enhanced online resources including procedure video clips and interactive exercises, you will have all the tools needed to master the full gamut of surgical nursing responsibilities involving small animals.